Guns – What To Do About It? 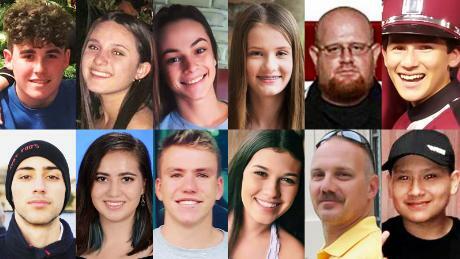 I encourage you to take a close look at the faces of those killed in Parkland Florida, and particularly the chart below. Since I’ve started writing this just a few days ago I had to add 11 more shooting victims. All children, except for just a few – while they were at school, no less. IS THIS OKAY?!?! It appears to me that this is “okay” with the most powerful legislative change agents (I use the term loosely) in the world. *This list is actually a conservative comparison to some resources. Sad and scary, isn’t it! I’m just thinking out loud here and not suggesting that we actually DO any of these things. And my friends know that I have my Illinois (FOID) Firearm Owners Identification Card. these 165 separate atrocities occurred inside of the state (or federal) capital buildings in the 30+ states where the shootings occurred. Would we be where we are today? we had no gun laws, but had strict legislation about buying ammunition? all legal gun/ammo sellers, school administrators and the ATF had an integrated database? when you bought 1,000 rounds of anything a “red flag” was issued to local law enforcement? all guns were registered and stored at the local police station? CRAZY you say! My friend, who grew up near Seoul, South Korea told me just yesterday that that is the law in her hometown. She knows many people who have guns, and knows no one who ever shot someone else. What if we had leadership, Democrats and Republicans, that had the character to do something bold and creative that defended the liberties of its people, children now dubbed “the Mass Shooting Generation” while still honoring the rights of those who legally own guns? What if…(what crazy idea would you put here)? LEADERSHIP LESSON – Trying to solve big problems using the same old paradigms produces the same incremental weak results. By asking the “what if” questions and encouraging outlandish answers you may just break free of the thinking that created the results you currently have.